Phenominal intimate date spot at night, candles and all. 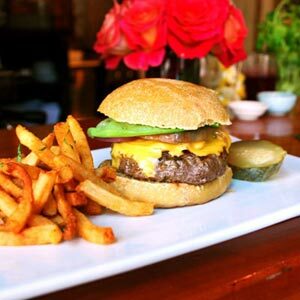 Be sure to show up a bit early…grab a wine list, walk up the tiny ladder (yes, bunkbed style), then sit in a cozy “owl like” spot tucked in the upper right hand corner overlooking the dining area – extremely romantic, yes…I said it. 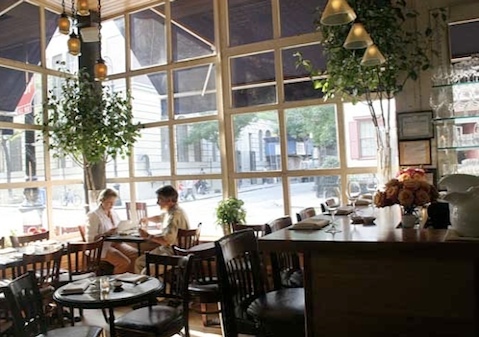 If nothing else you transition this small restaurant into a private tree house for two perfectly staged to savor vino with that special someone. I would avoid this place for a night out with the boys; it’s a total date spot for someone you are “sure” you want bond with, take to the next level or rebirth some of those old fuzzy feelings. If you’re thinking…”not so sure I should go on this date”…save this night for a different place and come here if round one is a pleasant surprise. Despite my rave review for date appeal keep in mind this place is SMALL or should I say “small”…so don’t be surprised if you are a bit closer than you may want to be to the couple next to you. 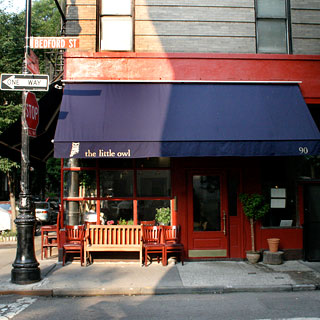 The Little Owl is a fantastic tiny gem in the West Village. I recently celebrated a birthday here and feel like I made the perfect dinner choice of where to be on a special occasion. I had the pork chop which was thick, juicy and delicious along side of butter beans and Tom had perfectly prepared lamb milanese and we shared chive mashed potatoes. Try the very refreshing fraisee presse cocktail, you won’t be disappointed. Our candlelit corner table and the birthday candles on my cheesecake were just bonuses. We love the Owl.